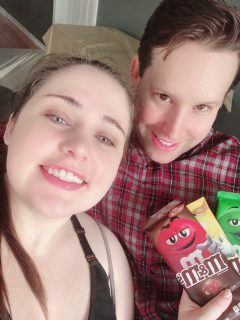 Eric recently discovered a new type of M&M’S ® and brought them home to share. I love all of the different varieties of M&M’S ® and M&M’S ® Caramel are no exception. 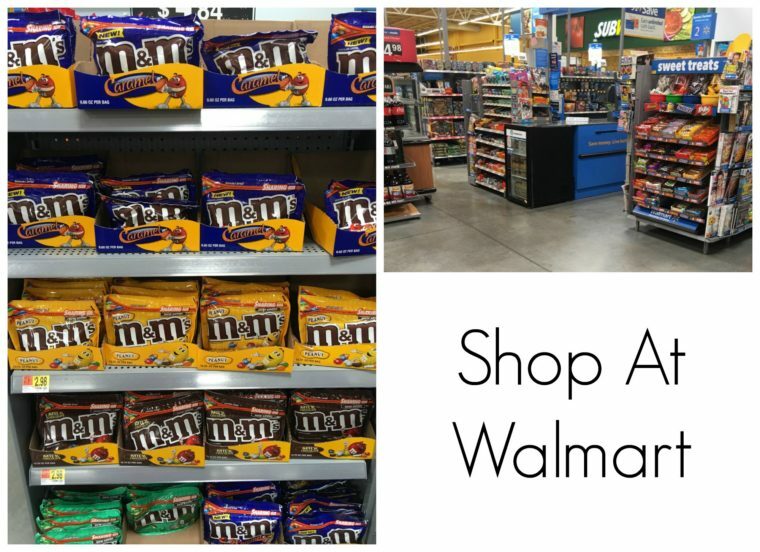 So when given the opportunity to use M&M’S ® Caramel in a recipe I jumped at the chance and had Eric go straight to Walmart to pick up some more. Now, some of these cool different flavors of M&M’S ® that pop up are limited edition only. You find something incredible like the pretzel, or the coconut M&M’S ® and it becomes your new favorite thing that you make it a point to go look for whenever you’re at the store and you can’t find it anywhere. 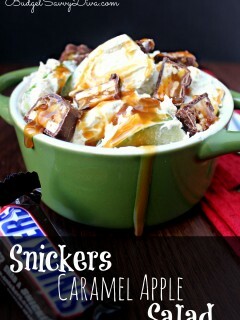 The caramel is not going to be like that. 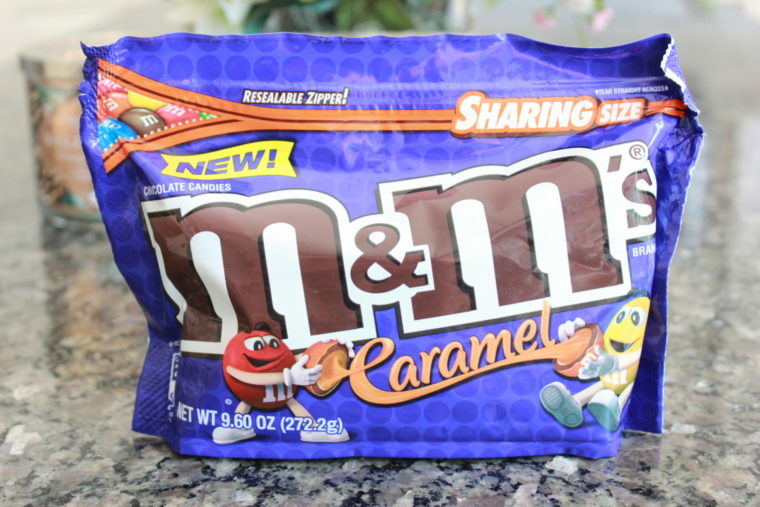 The caramel is here to stay, which is fantastic news because caramel candies are some of my favorites and I can’t believe I never really noticed them missing from M&M’S ® when they have seemingly done every other possible thing. This particular addition to the M&M’S ® catalogue of delicious palm candies is such a big deal that the product launch is the largest in M&M’S ® history. Caramel is finally taking it’s place alongside the milk Chocolate and Peanut M&M’S ® . And if you wondered why it took so long for them to think of, it didn’t. 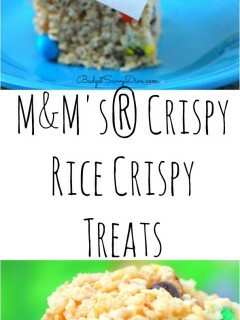 It just took that long to make, because M&M’S ® had never been made with such a soft creamy center before. 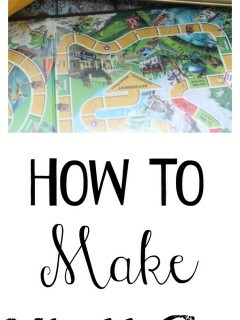 It took years to engineer the process to keep the chocolate from melting, or collapsing. 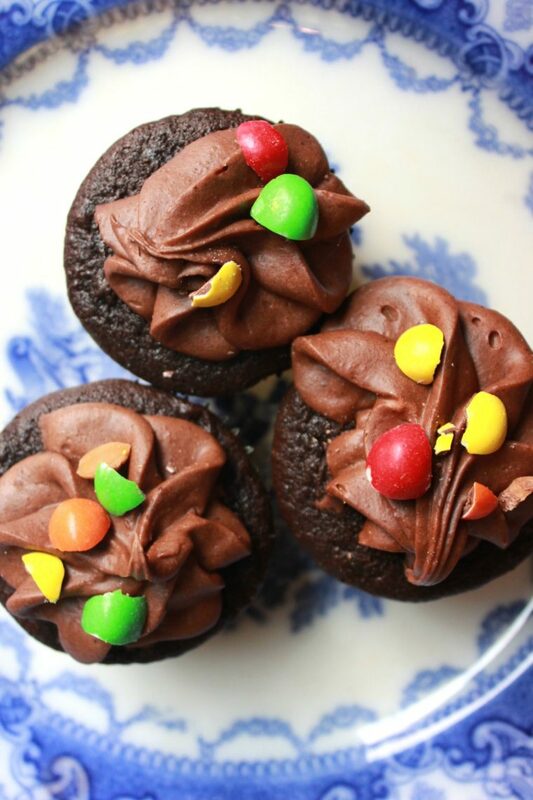 I decided to celebrate this fun new non-traditional caramel form by making chocolate cupcakes with the M&M’S ® Caramel baked into the center, I topped it with my own special recipe for chocolate icing as well and made perfect cupcakes. They are sweet, but not too sugary, with levels of flavor that round out the experience. 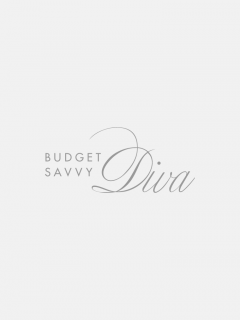 Here’s the recipe – use a boxed cupcake mix. 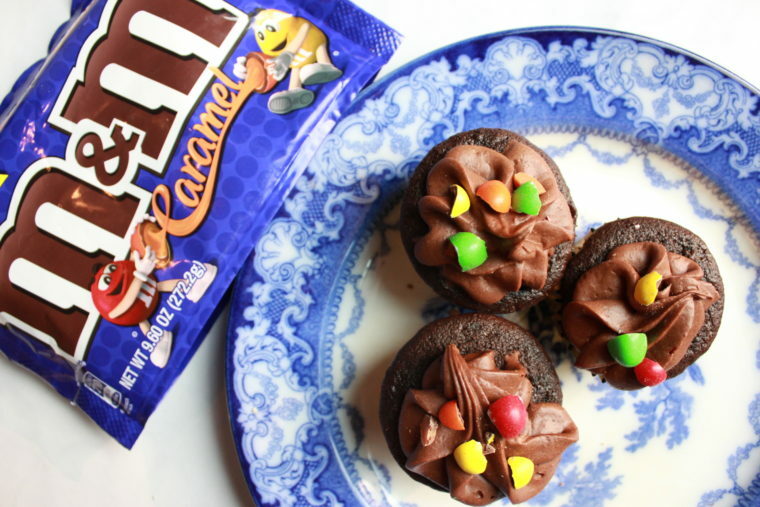 Mix the box mix and separate into cupcake liners - place 3 M&M’S ® Caramels into each filled cupcake liner.